Ah, emails. Even if you love getting them (tell us your secret? ), there are probably a few that crowd your inbox. Unfortunately, many of these pesky emails are business newsletters that you signed up for a long time ago, and have since lost interest in. We’ve all been there. Excited to start a new product or service, we check that, “Subscribe to email updates!” box with hope and optimism. As time goes on, the newsletters fail to get our attention. Or, maybe they’re too frequent. Maybe your day-to-day focus has changed and that newsletter just doesn’t offer the most important information you need right this very second. It’s easy to see why this happens. Entrepreneurs are busy. Most founders are productivity- and goal-driven, which means only the highest priority work gets time and attention. Nosy newsletters that elicit groans or immediate deletes? Don’t make the cut. However, just because you’re short on spare time doesn’t mean you have to miss out on the latest news and advice. Which is why we’ve decided to round up the absolute best newsletters for founders and entrepreneurs that will keep you clicking and enlightened on a regular basis. Of all the emails in the world, why these ones? How does a newsletter make this list? We made a set of requirements. Worthy of a click. No one wants a million newsletters every day. This list only includes topics that are relevant to founders and business owners, and that aren’t too frequent. Fan favorites. We asked for input from a few founders and leaders. Newsletters that had rave reviews were included. FOMO cure. Newsletters should help you stay on top of the week’s news so you don’t have to search it out. The ones on this list keep you informed with mission critical content. Design and function. Who doesn’t love a visually appealing, easy to follow newsletter? Gold stars for witty copy and must-click buttons. Personalized or tailored content. Being able to choose the focus or type of articles a newsletter sends you is the ultimate time-saver. Now, let’s get to the list. There are quite a few newsletters from the insight-rich Harvard Business Review. But, for productivity fans, we recommend the Management Tip of the Day. Quick, helpful, direct — and because it’s from HBR — thoughtful and meticulously prepared. Because it’s only one piece of advice sent each weekday, you can use this email as your thought starter for the day. The Foundr newsletter, in its own words is an, “Actionable, founder-centric content every single week.” If you’re looking for executive-level takes on business, marketing, leadership and more, Foundr has them. 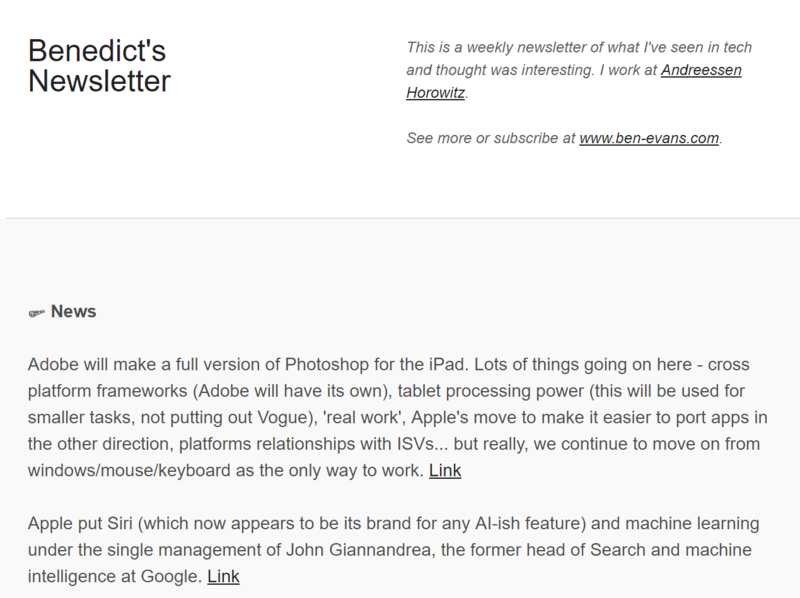 Plus, this newsletter (and blog) gets extra points for its design and conversational copy. This well-known business publisher boasts over 20 different daily and weekly newsletters. 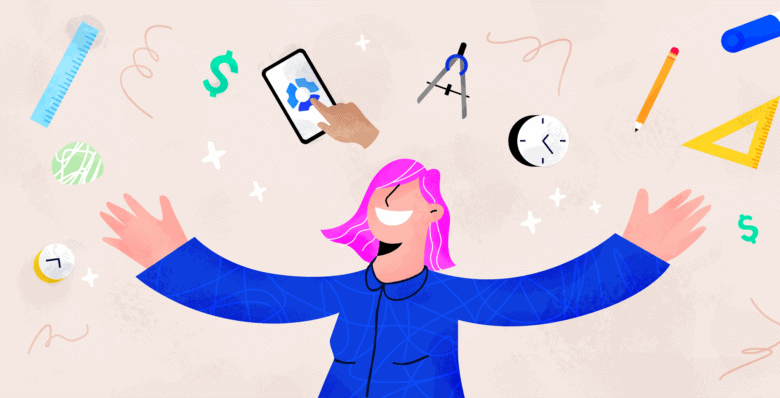 Choose the topics that pique your interest, from big world-changing ideas to daily leadership tips, and skip the google search next time you’re in need of inspiration. Thanks to Fast Company, it’s already in your inbox. Covering everything from book releases to finance to growth, the Founder Weekly newsletter is a great snapshot of what’s new and exciting for business owners. The newsletter itself is simple — a brief synopsis of top weekly articles with a link — but since the content is pulled together specifically for founders, that’s really all you need. Nearly every newsletter contains links to upcoming webinars, Twitter chats and blog posts. All tools that, according to Sweeney, can further educate anyone looking to start or grow a business. In other words, if you have tech news FOMO or enjoy the casual Home Alone reference*, go ahead and hit that subscribe button. *You’ll see what I mean in the confirmation email. Andrew Schrage, CEO at Money Crashers, recommends financial newsletters as a way to stay up to date on local, national and global news. Bonus: there’s a podcast version if you love business podcasts as much as we do. Part update on the latest deals, part Forbes news, the Term Sheet newsletter is a good recap of what’s happening in the startup world. If you’ve already used the words acquisition, funding or VC today, you’ll want to subscribe to this roundup of “deals and dealmakers.” Plus, being in the know on the fastest growing businesses means you’ll always have a conversation starter at your disposal. If the idea of 100,000 active subscribers isn’t compelling enough, perhaps the pared down, information-first approach will have you hooked on Benedict’s Newsletter. 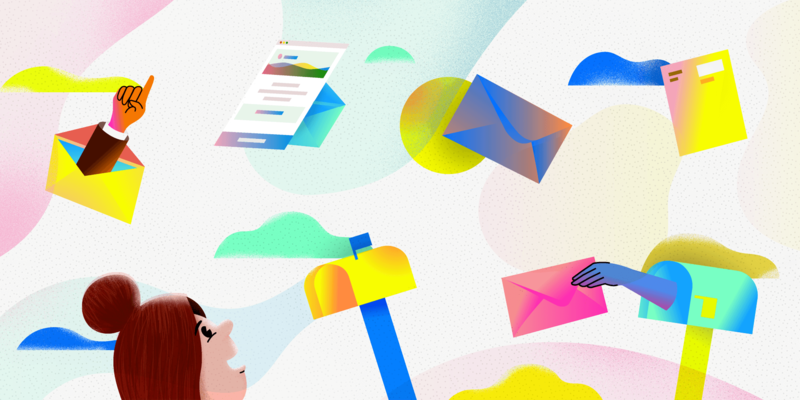 Compiled by Benedict Evans, partner at VC firm Andreessen Horowitz, this weekly email is a thoughtful gathering of tech news that will keep you informed and engaged. These weekly emails cover recent articles, job postings, tools, tutorials and more. They’re well-rounded collections of all things development that will keep you opening every week. Maybe we should keep things simple and rename this section “the Andreessen Horowitz newsletters you should be reading.” Written by another VC firm partner, Andrew Chen, this newsletter is a series of thoughtful, long-form essays. Within each one, you’ll find in-depth musings on the latest tech news. His essays have appeared in The New York Times, WSJ, Wired and more. If you’re always on the hunt for the best software or apps, Zapier’s newsletter has you covered. Discover new ways to automate your business an operations with technology. And, pick up a productivity tip or two. From product comparisons to helpful guides, you can stay in the know and try out the top emerging software. The Hubspot newsletters (specifically the Marketing and Sales versions) have that uncanny ability to provide just what you need, at the right time. The attention-grabbing headlines are always followed by actionable insight, so you’re never disappointed when you see a new email from the Hubspot crew. However, because there are so many newsletters to sign up for, you might face information overload if you subscribe to them all at once. (Been there.) Instead, start with one or two and choose your preferred frequency (daily or weekly). When you want more information, the option to scale up is there. An example of Invision’s stellar button copy. This one is a boost to your creativity. Invision creates a product design platform, so this newsletter is all about design, ideas, creativity and all adjacent topics. The content itself is great but what makes this newsletter stand out is the A+ copy and clever subject lines. It’s rare not to find something in Invision’s newsletter that makes you smile. We all get busy and fall off the newsletter check-ins from time to time. That’s why it’s so great when Think with Google prompts you to choose the topics that are most relevant to you, or will ask if you still want to receive emails at various times throughout your subscriptions. 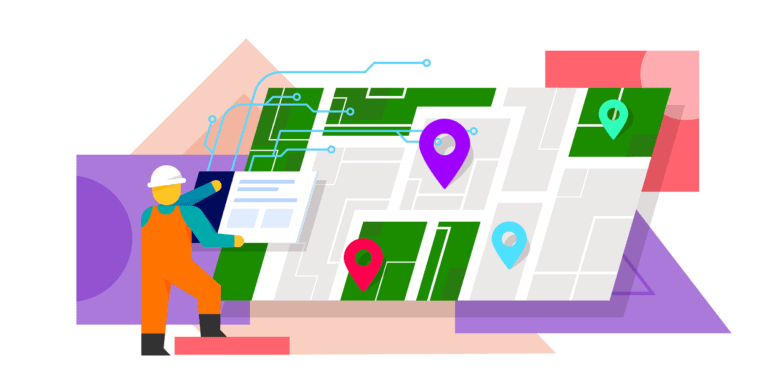 Primarily for the marketing and consumer research crowd, Think with Google sends out fresh insight on a weekly basis. Expect some Google-related updates mixed in with the latest news on everything from video content to analytics. Any newsletters we missed that you think are just the best? Let us know in the comments. While you’re here, subscribe to the Hubstaff blog newsletter to get more content just like this, sent straight to your inbox. What Effect Will AI Have on Construction?